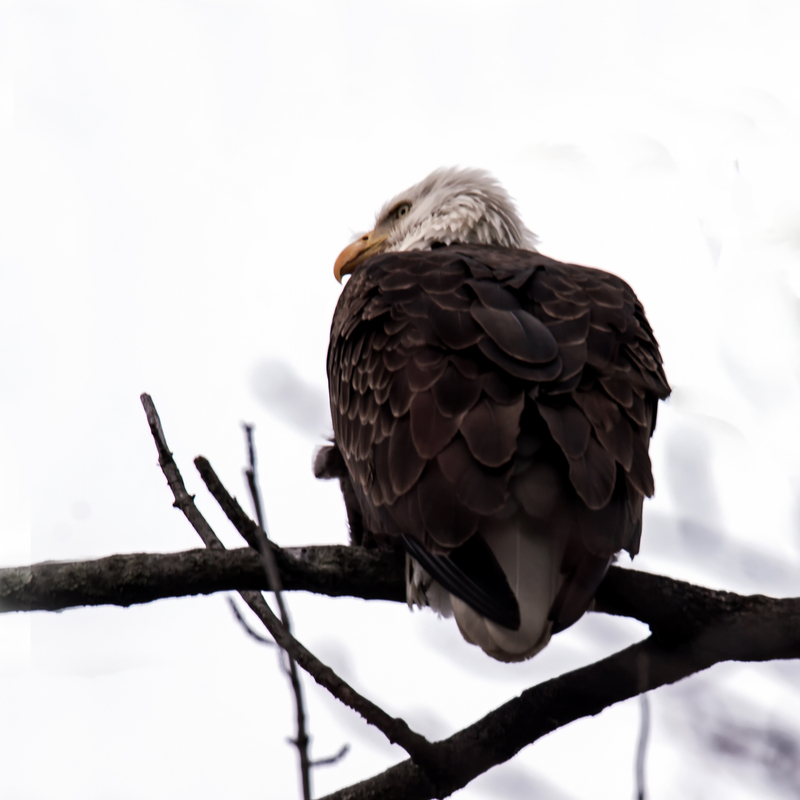 This Bald Eagle (Haliaeetus leucocephalus) was initially facing away from me on Monday at Occoquan Bay National Wildlife Refuge. 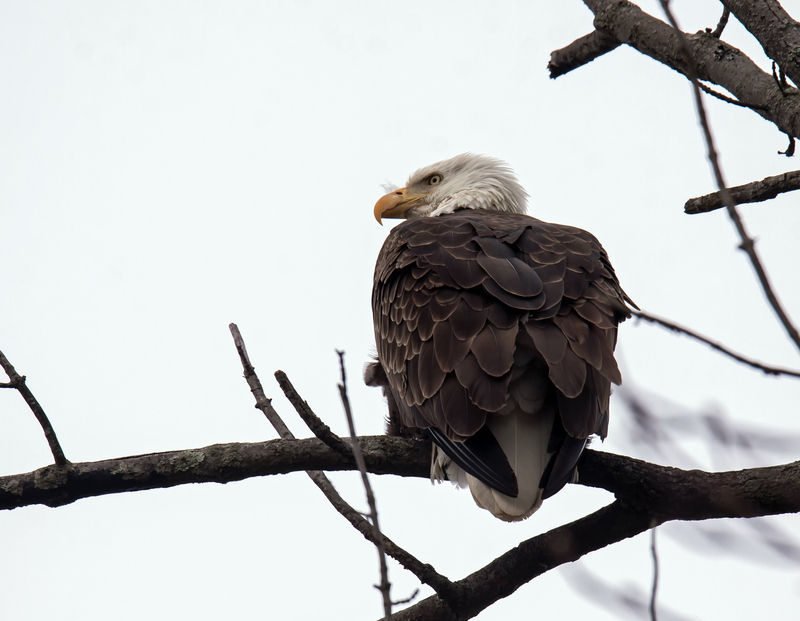 Somehow, though, the eagle sensed me approaching and turned its head slightly to glare at me. 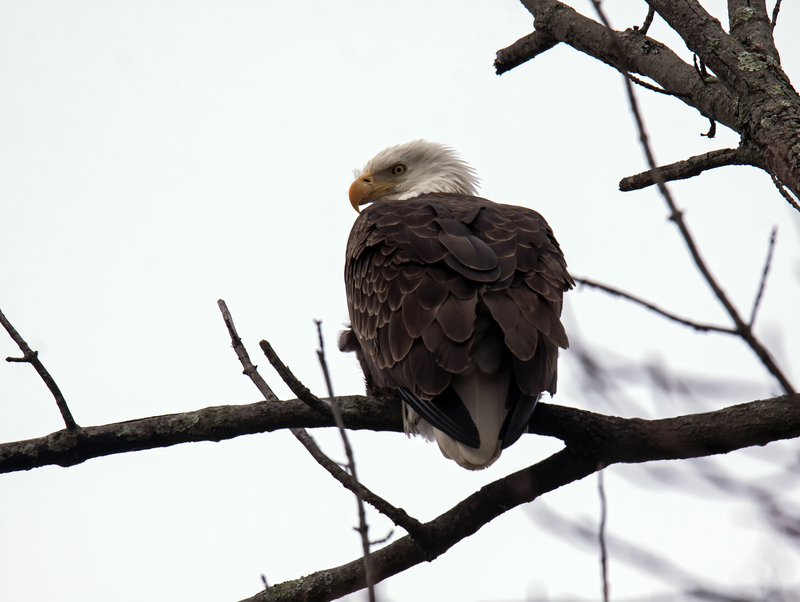 The eagle seemed to take a little time to check me out before deciding to take off. I am presenting the images below in reverse chronological order, starting with the “glare” and working backwards in time to the moment when I first spotted the eagle. I had just rounded the bend of a trail and lookeding upwards was shocked to see that I was almost directly this eagle. It is definitely rare for me to get this close to an eagle and to get such detailed shots of its feathers. Nice work, Mike. It’s funny to see him keeping an eye on you. I had forgotten that. Kudos for continuing to snap new frames. Note to Dan: Eagles do that. Note to Mike: You’re so lucky to live in an area where there are bald eagles. I got an amazing set of osprey shots at the end of the pier at Mount Vernon several years ago. Perhaps I’ll post a few one day. And you guys have Cardinals. We don’t have cardinals. But we sure have northern harriers!